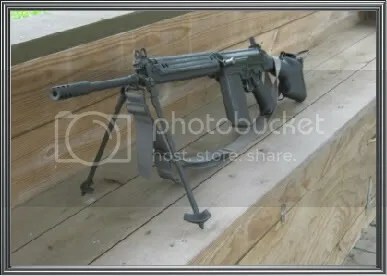 The history of the FN-Fal is widely known so I’ll skip directly to the operation, shooting as well as the types of this “Right Arm of the Free World”. The United States military came very close to adopting this fine weapon as our standard battle rifle. The M14 won out in the end but over 60 nations adopted this rifle in different variants with some still in use today. There are two general types. The metric or FN-Fal metric version and the British, Australian and New Zealand inch model. On one battlefield in 1982 both versions were used and fought each other. The Falklands war between Argentina and Great Britain. British versions were semi auto whereas Argentina used select fire metric versions made by FN. Some British troops shouldered the semi auto and picked up a full auto captured Argentine model. In the USA many shooters prize this weapon myself included. Metric versions outnumber inch versions by a wide margin. Not because the metrics are better but the inch version is just harder to come by. Mine is the inch version imported by Century International in 1994. My L1A1 is very tight and well fitted. Several metric versions made from parts by Imbel are rather loose in some areas. You’ll not find either with all matching part numbers. They are out there but command a very high price approaching $3000! Most of the Imbel part guns are in the price range of $500 to $800. Another choice you have is an Fn-Fal made by DSA Arms and start at $1500 and run to a little over $2000 for the collector models. If you can afford it this is the way to go. Many are made with Austrian parts and come in many variations from standard to Para models. 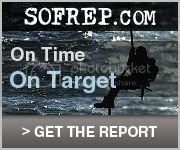 This website is worth a look! If you aren’t aware of it any imported rifle is required to have six american made parts in order to comply with current import laws. If you add or change any parts make sure you don’t fall below the correct number of american made parts. If you should your gun will be illegal! If in doubt consult your gunsmith, DSA Arms or Century International. As you can see from the above picture this is not a small rifle. The balance more than makes up for the extra weight however. Without any additional optics the average weight is 12 pounds. Takedown is very simple and is very close to the method used to breakdown an AR15. Once a pin is pulled out at the rear of the reciever the front of the rifle hinges down just like the AR15. After that you simply remove the bolt by sliding it to the rear. That’s all you need to do for ordinary care. You clean the bolt as usual. There is a push pin on the bolt you press to the side and remove the firing pin. It is under pressure so it’s best to keep your hand at the rear of the bolt to prevent the firing pin from flying across the room. There is also a tool to remove the gas regulator plug so it may be cleaned as well. This is located just below the front sight. This tool comes with most guns but if you should need one they can be purchased for a small amount at Cheaper Than Dirt along with other useful cleaning items. After removing the gas plug remove the rod behind it and clean with solvent to prevent a buildup of carbon which over time will increase gas pressure in the system. The plug itself serves as the gas regulator for the system. They are marked numerically with 7 being an average setting for standard ball ammo. Most often once the gas system is regulated there is no need to change it for bullets in the 143grn range of weight. If you use something like Federal 308 match ammo you may have to adjust the setting for proper function since this bullet is 25 grains heavier. Another item that comes in handy is a book available from Cheaper Than Dirt and other sources a Google search will locate for you. This is an Australian military care manual for this rifle. Metric or inch doesn’t really matter since the parts are the same only the dimensions are changed. After cleaning the bore from the rear like you would an AR15 you reassemble in reverse order. Since this rifle doesn’t have lugs at the chamber it’s much easier to clean this area than with an AR15. The bolt slides right in and all that’s left is to close the reciever which latches into place. Very simple and straightforward all around. The sights on both metric and inch are your standard military peep sight rear and post front. Windage is at the rear sight with elevation at the front. A small screwdriver is needed for the rear sight and the front sight adjustments. The metric sight will not fit on an inch model although I wish it was otherwise. The inch version has a rather large peep rear sight which is not as precise as the metric but is faster to get on target. As far as optics DSA makes a scope mount which simply replaces the factory dust cover at the top of the reciever. It has a standard Picatinny rail which you can mount any aftermarket sight or optic on. It takes just a minute to replace the dust cover with the sight mount then mount your scope and zero. With most of these you can still use your iron sights. These rifles are capable of very good accuracy and a scope or holographic sight really brings out the best of this inherent accuracy. Of course any red dot sight will work but I prefer the EoTech brand 512 Holographic. This sight is fast on target and will work well at distances out to 300 to 400 meters when sighted in. There are many available magazines out there for the FN-Fal and L1A1. The metric mags from an FN-Fal will work in an inch model L1A1 but an inch magazine will not work in a metric rifle. Please refer to this link for the difference between metric and inch versions Century Int. Surplus mags are pretty cheap and can be had for as little as $5. New steel mags can run as high as $35 to $40 each. I’ve used both and honestly the cheaper mags work just fine. These mags hold 20 rounds. Thirty round mags are available from DSA but run as high as $70. These are not my cup of tea since they are so long it makes it impossible to go prone without the mag resting on the ground which leaves you off balance. Shooting an FN-Fal is a real joy. Recoil is very light with followup shots easily made. You can expect to shoot 3 inch groups at 100 yards with the standard sights with smaller groups using a holographic sight or scope. With a Leatherwood ART scope I have shot 1 1/2 inch groups at 150 yards! The flash suppressor that comes with most of these rifles works very well and is a great improvment over the original suppressor on the military version. This is also one of those compliance parts that can’t be changed anyway. The most comfortable way to hold an Fn-Fal is to hold your left hand just above the front of the magazine. This provides the best balance. I would advise using a nomex flight glove or something similar for that rare instance when you get some blow by gases around the front of the magazine. It doesn’t happen often but you can get burned without that glove on! There is no defect involved that’s just the way they work. It is more likely using a metric magazine in an inch model. The fit is not as tight but it is safe except for this one thing. These rifles are also very reliable with about any ammo you care to shoot. I’ve shot well over 1500 rounds in the last two years with only one failure to feed. I attributed this to a defective surplus round that was dented at the shoulder of the round. It happens sometimes even with premium ammo. Just a side note, the bolt does not hold open after the last round is fired. The controls are also very close to the AR15. The charging handle is on the left side as is the safety. The safety operates identically to the AR15 and is very easy to manipulate. 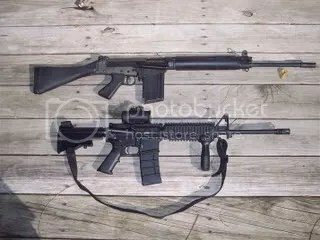 To sum things up these are very fine rifles and once you shoot one you’ll realize why so many countries adopted it for military service. Sturdy, reliable, easily maintained and just plain fun. The supply is getting low right now so if you find one grab it because who knows when any more will be imported. Of course DSA will always have them unless a certain female is elected president then Heaven help us all !!!!!!! I’ve had a couple of fellow shooters email and ask if they can shoot 308 ammo in an FN-Fal/L1A1. Yes, you can by all means. The 308 is just the commercial name for 7.62×51 the military uses. The ammo in 7.62×51 is usually cheaper than 308 designated ammo and usually is made for military use. A standard is 143 grain bullets in both. Of course match ammo from Federal is a heavier bullet. For more information click this link to Sniper Central. Since writing this review in October 2007 prices have increased significantly. The rifles themselves have increased but not a great deal if you shop around. What has increased are magazine prices which now seem to average in the $20 range for quality mags. They are also more difficult to find than when the review was first written.